Floods, tear gas, and violence. It wasn’t the average overseas experience for DLA Phillips Fox partner and insurance litigation specialist, Veronica Cress. Cress has just returned to the firm’s Auckland office following a secondment overseas – an experience she believes has greatly enhanced her capabilities as a litigator as well as her perspective on life itself. Ticking off life goals isn’t something to procrastinate. So after making partner at DLA Phillips Fox several years ago, Cress took a sabbatical and used it both to travel through Europe and do Muay Thai kickboxing in Phuket, Thailand. 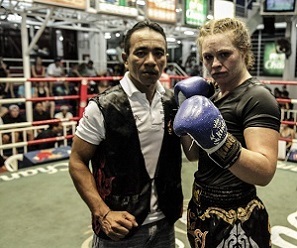 She arrived in Phuket in October 2011, a couple of weeks before the Thailand floods, and lived there for nine months, attending Muay Thai training full time and even fighting at Bangla stadium twice. Cress nevertheless fervently recommends overseas experience to other New Zealand lawyers. “I had valuable opportunities to meet and collaborate with colleagues from many different DLA Piper offices overseas,” she says. “Like clients, lawyers from different jurisdictions can also have very different ways of engaging, working; and approaching litigation that are shaped in part by where they work. by Annette tocker 14/05/2014 7:42:15 a.m.